When parents prefer to educate their children at home or children can’t cope in mainstream education. A puzzle can’t be completed if there is a missing piece. We are a diverse educational learning centre based in Garsfontein, Pretoria. We are a learning centre which explores the future of learning in all its dimensions and expand learning in all areas for ALL children. 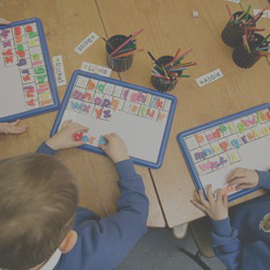 We enable learning and understanding through differentiated methods of instruction and facilitation in a multi-graded and dual-medium environment. We specialise in Homeschooling Facilitation for various grades, Remedial Therapy, Tutoring Sessions, School-Readiness Screening and Standardised Assessments, Full Scholastic Assessments, Visagraph Eye-Function Testing, Study Skills Courses and much more! The members bring combined experience in excess of 25 years in Early Childhood Development, Remedial Teaching, and Curriculum & Course design. Homeschooling is ideal if you want to spend more time with your children, focus on those subjects that need more attention, or are in need of more flexible facilitation. Remedial programs are usually used to build basic skills. Most remedial programs target reading and math weaknesses. Remedial instruction can help struggling learners shore up their basic skills. Tutoring is important to reinforce material learned at school. With the high demand of outcomes that needs to be met, there is no time in today’s classroom to assist a learner and to reinforce schoolwork. We do the following evaluations; School-Readiness Screenings and Standardised Tests, Full Scholastic Assessments, Visagraph Evaluations. To enable learning through differentiated methods of teaching. 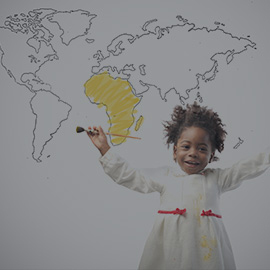 We envision every learner in South Africa to be empowered to learn without ANY restrictions. We explore the future of learning in all its dimensions and expand learning in all areas for all children. We are ready to assist with any questions you have, so please don't hesitate to call.